Bottichelli Utensilo is a practical storage box by Koziol. The Bottichelli box is suitable for storing and sorting of different things in the kitchen and bath, since it is made of durable and water repellent plastic, suitable as well as stable storage in the children's room or on the balcony. Cleaning items, toys and all tyes of small things can be stored in this little variation in size S. The sturdy and washable box also serves as practical transport box for the shopping or also to store various things in the pantry, basement or attic. The stackable Bottichelli Utensilos by Koziol are used to organize and store things at home, since they're available in different sizes and colours. Small toys can be cleared away carefully in the children's room and on the balcony or in the bathroom, tydying up the place finally. Colorful organizers for every occasion. 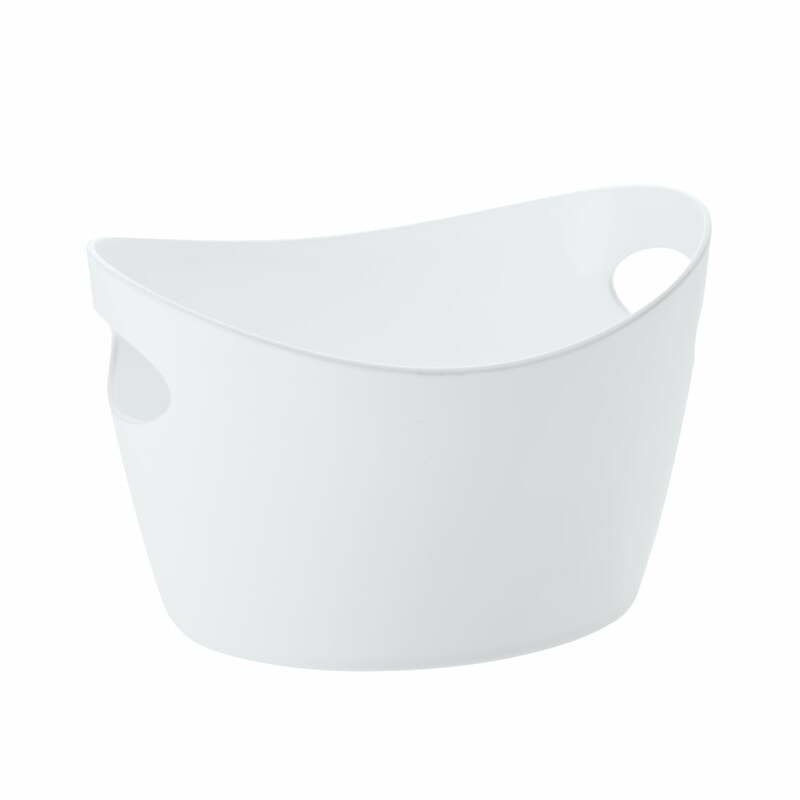 Single image of the stackable Bottichelli Utensilo S in White by Koziol. 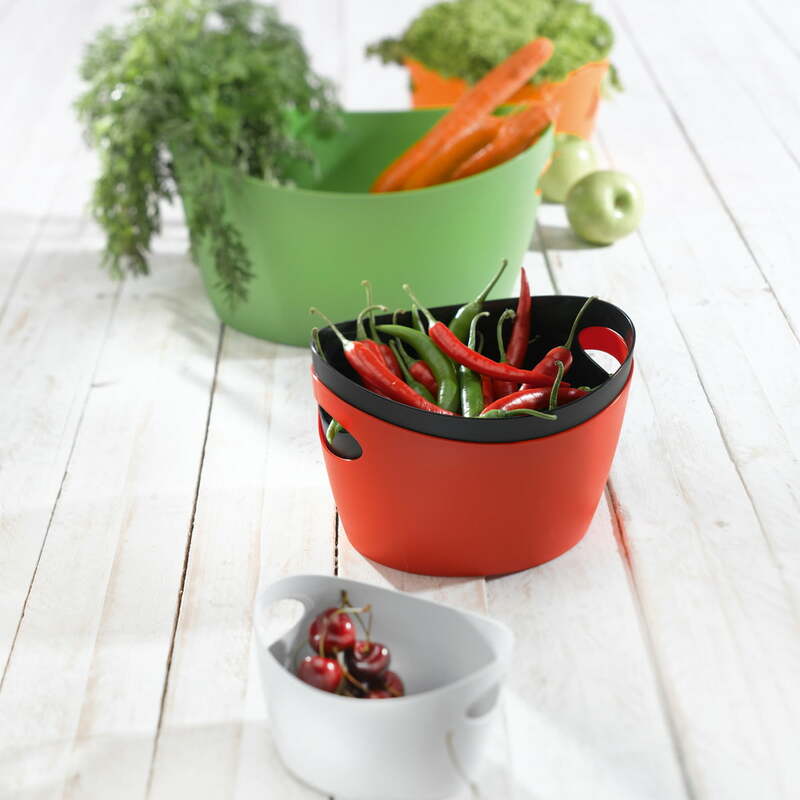 The storing container made of polypropylene offers a capacity of 1.5 litres and is suitable for indoors as well as outdoors.